History Vortex offers you is a theory that says that if time travel were possible, it would be impossible to change the major events of history. That while it might be possible to change the small events (keep someone from dying in an auto accident, prevent someone from getting on a doom airliner, etc. ); it would be impossible to alter major ones. The major events, the theory goes, are so ingrained within the “Web of Time,” to use a phrase from the series, that they are unchangeable. Therefore if one could, let’s say, travel back to the early 20th century when Hitler was still a boy, it would be impossible to kill him. History, the universe, God, nature, whatever you wished to call it would prevent you undermining the flow of time. The gun would jam, you’d be arrested, you’d die in an auto accident, something would keep you from killing Hitler, and history would move on. With this in mind it is not unreasonable to establish that regardless of the TimeLords intervention to prevent the Daleks creation, it was bound to fail. “Genesis of the Daleks” is one of the finest stories ever filmed for “Doctor Who.” It was conceived when then leaving producer Barry Letts and script editor Terrance Dicks rejected Terry Nation’s submitted 12th season script as being “too much like his previous stories written for Jon Pertwee.” It was Letts who suggested that Nation depict the creation of the Daleks, a suggestion that the writer was more than happy to produce. Nation had twice before rewritten the Daleks origins (see Davros, Daleks and the Questions of Their Origins), but instead of reusing any of these, Nation decided to once again pen a different version, while trying not to contradict the original version. Unfortunately the task of not contradicting his original story written 11 years before proved to be an impossible one, and “Genesis of the Daleks” does indeed change several of the points that were established in “The Daleks.” One of the more obvious was the changing of the Daleks original species name from Dal to Kaled. This was done to allow Kaled to be an anagram of Dalek (a fact the Doctor mentions in the episode). 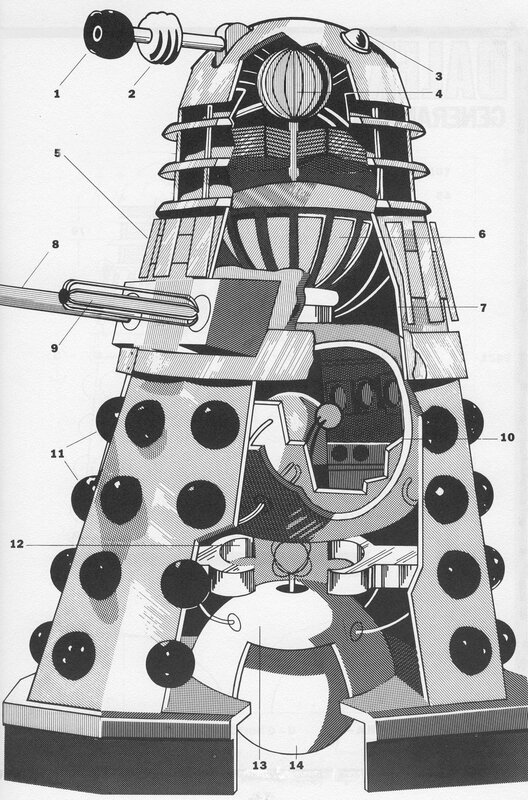 Another was allowing the Daleks total mobility upon the Skardoian surface where it was first established that they could originally move only along the metal floors of their cities (drawing power from the floor). Of course the most glaring change came in the creation of Davros, the twisted, brilliant scientist who creates the creatures of hate. “The Daleks” had established that the mutative process that changed the Dals had taken hundreds of years, with the travel machines being used to “protect” the Dals from the radiation. 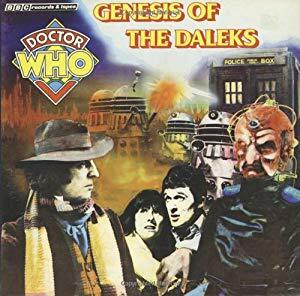 “Genesis” establishes that Davros himself genetically engineered the Dalek mutants. Skaro. A thousand years ago. The surface of the planet lies in ruin. The once majestic cities, their towers reaching towards the sky, their museums crammed with generation after generation of learning, all are rubble on the ground. Once lush forests, vast fields, mighty rivers, all lie dying, caked with decay. A thousand years of war has taken its toll on the planet, and hardly anything survives. On a small battlefield just west of the Drammankin mountain range, two figures, clocked in long black robes, survey the devastation. They are TimeLords from the planet Gallifrey, and they have traveled back to this point in the universe’s history to advert total destruction. But they do not agree these two travelers in the fourth dimension. For thousands of years, every since the days of Rassilon, the TimeLords have been contented to watch the events of time unfold, never interfering, never meddling in other’s affairs. Ever since their encounter with the Minyans, where TimeLord interference brought the end of an entire civilization, they have done nothing but watched the injustices of the universe. Now they were about to break their greatest laws, their greatest traditions, and the two could not agree. For years, ever since they became aware of their existence, the TimeLords have watched the Daleks. The petty actions of this mutated race were of little concern to Gallifrey. But upon the Daleks attempts to reassemble the Karn Keys of Doom, the TimeLords could no longer just sit back and take no notice. Scanning the time streams and employing the power of the Matrix, they foresaw a time when the Daleks would eliminate all other forms of life in the universe, and become the dominant species. This they just could not allow. And so, after much debate, it was agreed. They would return to a time just before the Daleks were created. At best, they would alter their development so that they evolved into less aggressive creatures. At worst, genocide would be the only course left open to them. Of course, when the TimeLords said, “they would return,” they of course, meant The Doctor. And so, after agreeing upon the course of action, after seeing that the space and time coordinates were correct, the second TimeLord leaves the first on that rocky plane, and sends word back to Gallifrey to send for the Doctor. …Having recently regenerated, the Doctor, Sarah Jane Smith, and Harry Sullivan (their newest traveling companion) have recently defeated a plot by the Sontarans to invade Earth in the far future. Intersecting the transmat beam returning the time travelers to the space station where the TARDIS was waiting, the TimeLords send them to the planet Skaro at a time when the war between the Thals and Dals is reaching its final stage. The Doctor’s mission is to prevent the birth of the dreaded Daleks, who evolved out of this war. The Doctor of course refuses to cooperate, complaining that he was tired of the constant interference by the TimeLords into his lives. But his fellow TimeLord convinces the Doctor of the importance of the mission and he reluctantly agrees. Hunted by both sides in this war-torn world, the Doctor and Harry are separated from Sarah and eventually become prisoners of the Kaleds, allies of the Dal nation. Taken to “The Bunker,” a special underground scientific base set up by the Dal government to create weapons to end the war, the pair are searched, and the Time Ring which the TimeLords have given the Doctor that will return them to the TARDIS, is confiscated. The pair are then passed along to Ronson for interrogation, and it is while undergoing this interrogation that the pair encounter Davros, the brilliant Kaled scientist who was crippled when a Thal atomic shell hit his lab. Editor’s Note: It is never mentioned in the episode how Davros became crippled, however Terrance Dicks in his novelization of the story has Ronson tell the Doctor about the atomic shell. Another interesting point which is ignored in both the episode and book is when Davros first introduces a “Mark III travel machine,” to the waiting scientist. 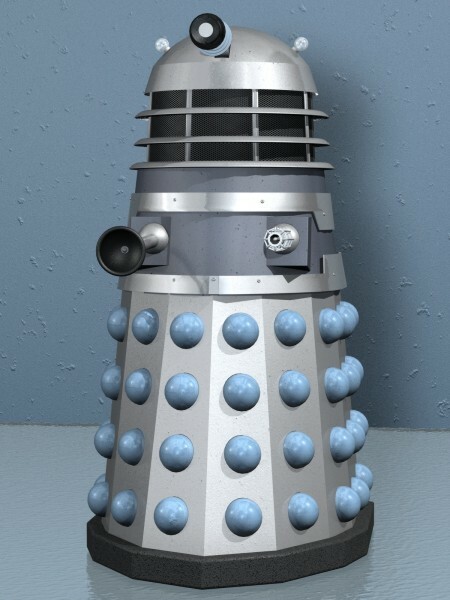 As the Dalek enters the Doctor mentions to Harry, “a Dalek, primitive, but unmistakably a Dalek.” The problem is that this “primitive Dalek” is a standard gray model (one of three the BBC used for shooting) complete with shoulder slats, rounded dome lights and an irs in the middle of the eye-stalk. The effect would have worked much better if the production team had re-designed the Daleks to look more like their early 60s counterparts. Davros was one of the leading Kaled scientists, and had worked closely with the top Dal scientist Yarvelling, to the develop a travel machine to house the creature into which their race, genetically mutated by centuries of warfare, would eventually evolve. But where Yarvelling (who had passed away some 50 years before) worked in the Dal Capital City and was content with insuring the survival of his race, Davros had become obsessed by his own creations, and thus engineered into them destructive powers and a ruthless intelligence, which were not part of the original design. These travel machines are destined to become the Daleks! Meanwhile Sarah, who was captured in the wastelands and mistaken for a muto (the name given to the genetically wounded), has been taken to the Thal dome and forced to work loading explosives into the nose cone of their last great rocket. With it, the Thals hope to shatter the Kaled City dome and win the war. 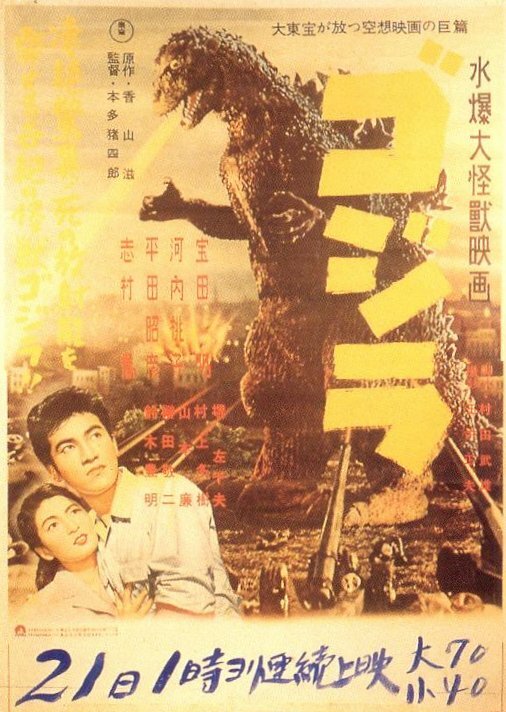 Sarah leads a revolt, and almost escapes with the help of a muto named Sevrin. But the two are captured and forced returned to the work. Back in the Bunker the Doctor soon learns that Ronson and other members of the scientific elite are concerned by Davros’ work. Taking advantage of this the Doctor convinces Ronson to help Harry and himself escape. Escaping from the Bunker through a ventilation duct, the Doctor and Harry cross the wastelands towards the Kaled Dome and warn the Kaled government of Davros’ intentions. It is at this meeting that they learn of Sarah’s capture at the hands of the Thals, and the two set off to rescue her. At the Bunker, Davros is ordered by the Kaled government to stop all experiments until a full investigation into his work can be conducted. Davros agrees, but in his determination to preserve the Daleks, helps the Thals to destroy his own people. While exploring the Thal Dome in search of Sarah, the Doctor and harry discover Davros and Nider (his assistant) conversing with the leaders of the Thal government. davros has given the Thals the formula that will weaken the Kaled dome, and armed with this information, they prepare to set off their super-missile. Breaking into the rocket control area the Doctor and harry rescue Sarah, and the Doctor sends the two off to warn the Kaleds as he tries to sabotage the missile. Despite the Doctor’s efforts to sabotage the rocket, the Thals launch their missile and destroy the Kaled City. The Doctor is devastated believing that he has sent Harry and sarah to their deaths. back in the Bunker, Davros and the surviving scientist watch the destruction of their city is stunned disbelief. Vowing revenge, Davros uses the Daleks, now fully operational, to first kill Ronson, who he knows helped the doctor escape, and then to attack the Thal Dome. As the Doctor exits the Thal city he witnesses the Daleks begin their mission to wipe out the Thals. In the Dal Capital however, news of the destruction of their Kaled allies brings despair to the Dal government, and a final plan is put into action. Meanwhile, the Doctor, heading back toward the Bunker in the hopes of completing his mission, run into Sarah and Harry, who never made it to the Kaled dome. The three return through the ventilation duct only to be captured by Davros, who had just foiled the first step in a plan to overthrow him. Wiring Sarah and Harry to torture devices, the Doctor is forced to tell Davros of every future Dalek defeat. Davros, who had believed that no life existed outside of the Skardoian system, becomes even more obsessed with making the Daleks all-powerful, and insuring his own survival. But Davros has underestimated the resolve of the scientists who are horrified by the work they are doing and believe his work is immoral. Helping the time travelers to escape, the Doctor helps to lead a revolt against Davros is doing. However he refuses to destroy the Daleks when he has the chance on the grounds that it would be genocide. Confronted by the revolting scientists, Davros pretends to give in, but he is only buying time for his Daleks to return from the Thal Dome. As Davros confronts his captors, the Doctor, Sarah and Harry reclaim the Time Ring and follow Nider to Davros’ office, where the Doctor forces Nider to hand over the tape containing all the future information on the Daleks. As the Doctor uses a Dalek Blaster to destroy the tape Nider runs from the room locking the time travelers in the office. Activating a monitor screen which looks onto the main lab, the three are horrified to see Davros use the Daleks to destroy those remaining Kaled and Dals who oppose him. Faced with defeat over the destruction of the Bunker, the remaining Dal survivors in the old capital retreat to the survival chambers deep under the city, then launch one last neutron bomb. The radiation released destroys most of the remaining life on the planet, including most of the mutations and surviving Thals. Using machines (built as weapons of war by Yarvelling) as a travel device and sort of mobile home, the surviving Dals believe they have escaped the effects of the radiation. In the wastelands, gathering as much of their technology as they could carry, the surviving Thals make for the outer reaches of the Skardoian continent in the hopes of surviving. Editor’s Note: At the end of “Genesis of the Daleks” the Doctor mentions to Sarah that they have delayed Dalek plans by 1,000 years. We know however that this, in fact, cannot be the case. Altering Dalek history would also mean altering the Doctor’s own history, as surly if the Daleks had been delayed 1,000 years then they would not have been in any condition to present a threat to the Thals when the Doctor, Barbara, Ian and Susan first encountered them outside the Dal City. In addition if one accepts John Peel’s account that the Daleks seen in the first story were of a different type from those in the Bunker (Peel suggests that those were Mark I machines, built and abandoned by Davros before he designed the Mark IIIs), then altering the timeline would mean that all events which take place after “The Daleks” would still have been delayed, and the Doctor would not have encountered them on Earth in 2164, on Vulcan, on Spiridon, etc. What one can assume however, and this is major conjecture, is that the only effect of the Doctor’s interference was directly related to the survival of Davros. It is established in the first episode that the people of Skaro had no knowledge of other life in the universe until the TimeLord and the humans arrived. Armed with this knowledge it is not unreasonable to believe that Davros, obsessed with the Daleks becoming all-powerful, took steps to insure his own survival and quickly refitted into his life support unit a cryo device. According to Terry Nation it was originally intended at the end of episode six to show a single light still flashing on Davros’ chair, indicating that he had survived being “exterminated,” but the scene was cut at the last minute. Either way it is not unreasonable to assume that up until the Doctor’s interference Davros had originally been killed, but now survived. Skaro is on full alert. All Dalek installations, all Dalek bases, all Dalek cities, are on heightened security. The TimeLords have attempted to interfere with Dalek history. In Dalek Central Command the Dalek Prime examines the reams of readouts and information placed before him. All the evidence points to a temporal transgression into Skaro’s past. And yet, the Dalek Prime knows that nothing has changed. Building on the technology procured from The Master, Dalek temporal scanners register the interference, but also indicate that Dalek history has not been altered. The Dalek Prime however, is not taking any chances. With Skaro kept on heightened alert, the Dalek Prime orders all scientific units not engaged with the conquest of the galaxy to begin an intensified investigation into Skaro’s past. The littlest thing, the most minor of alterations from known established history, are to be reported to him at once. All throughout the Dalek’s territories scientific units begin pouring through hundreds and hundreds of data spheres, re-examining their history. Vast computer complexes throughout their empire stream year after year after year of Dal, Thal and Kaled history. The Dal/Thal war is gone over, the Thal attack on The Bunker, Yarvelling’s development of the travel machine, Davros’ attempts at genetic alterations, the explosion of the Neutron bomb, all of their history is closely examined. All is gone over, and throughout all of it, nothing is changed. Except for one small detail. In an obscure reference to one of Davros’ experiments, the Doctor is mentioned! This causes a panic throughout the Supreme Council. The Dalek Prime is livid. If the Doctor can travel into Skaro’s past once to try and destroy the Daleks, what is to keep him from doing it a second time? The Doctor, the Dalek Prime realizes, must be stopped once and for all. The Dalek Prime quickly orders that all temporal scanning devices be trained on locating the Doctor’s TARDIS. In addition, Dalek scientists begin the construction of a Time Probe. The Dalek plan would be simple, using their scanners and the Time Probe, they would rip into and through the Time Vortex to intercept where the Doctor’s TARDIS was about to materialize. Once that point was located they would move into position, and as the TARDIS materialized, exterminate the Doctor. Unfortunately although the plan was a sound one, the Daleks were not prepared for what they found. As they begin their temporal scanning, they quickly discover an abnormality, a kind of inverse wave-form that suggest great power. Intrigued, the Daleks focus the Time Probe onto the wave. The storm that rages through the vortex horrified the Dalek scientists. Wave after wave of time distortion threaten to destroy the very fabric of space-time. Although divided as to the very nature of the disturbance (some Dalek scientists believed that this was a natural occurrence, while others an unnatural one) one thing seemed certain, the storm seemed bent on sucking the universe into some kind of entropic whirlpool. Determined to fine the cause of the distortions they soon discovered that the inverse wave-form, which was creating the disturbance, was centered on the planet Gathwyr. Earth colonized Gathwyr during its imperial period. Originally a mining colony, it had been abandoned for centuries as the Earth Federation slowly broke apart. The inhabitants, while slipping back technology a bit without Federation influence, did manage to develop a fairly advanced civilization. Somehow, the people of Gathwyr have learned to manipulate time, and their experiments were now a direct threat to Dalek plans. Arriving in one of their typical assault ships, Dalek task forces quickly destroy the coastal cities of Gathwyr, subduing the human population. With their ship safely secured within an underground cavern, the Daleks set themselves up as the Master’s of Gathwyr, and begin their search for the cause of the temporal distortion. Editor’s Note: There have been many Doctor Who adventures both presented in book and comic form. During the mid-1980s several tabletop and role-playing games made their appearance both in Great Britain and America. “Doctor Who and the Vortex Crystal” was written by William H. Keith Jr. and published by FASA Corporation in 1986 (producers of the popular: “The Doctor Who Role Playing Game”). The book was a Solo-Play Adventure Game, which required the reader to make certain decisions while reading the story. This would affect the course of events and eventual out come. Thereby the story is never exactly the same twice. In addition, like popular role-playing games of the time, the reader was required to gather clues, improve skills and engage in conflicts which were determined either by the roll of a dice, or by randomly flipping through the pages of the book (which all had numbers placed in their upper corners). The Doctor is portrayed in his fourth incarnation and his companions for the story are Sarah Jane Smith and Harry Sullivan (a second book/game, “Doctor Who and the Rebel’s Gamble” featured the Sixth Doctor and Peri). This would place the story as taking place after “Revenge of the Cybermen” but before “Terror of the Zygons” as Harry leaves the TARDIS at the latter story. The cover artwork features a nicely done painting of the Doctor (in his burgundy outfit!) and Sarah, overlaid by a scene of Daleks attacking the pair. This unfortunately ruins the so called “secret” of the invaders of Gathwyr, as the reader already knows it is the Daleks. I have included it here as part of the history for two reasons. First, it is a good story, drawing many of the plot elements from the actual series and past episodes. Second, it does represent the only encounter by the Fourth Doctor with the Daleks without Davros. 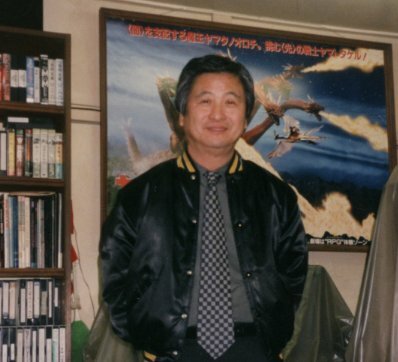 The synopsis of the story is based on several “played” variations tied together. …While traveling back toward 20th century Earth, the Doctor, Sarah and Harry encounter a storm within the vortex. Alarmed by the severity of the disturbance, the Doctor programs the TARDIS to trace the source of the disruption. Landing on Gathwyr, the time travelers soon discover the remains of 100 bodies laid out over a charred battlefield. All are dressed in battle uniforms and were killed by high-energy weapons. Exploring the fog-shrouded landscape further, the three are captured by the security forces of General Kolav. The Doctor manages to escape, but Sarah and Harry are led off to the city fortress of Tharesti. Knowing that he must rescue his companions and still discover the source of the temporal disturbance, the Doctor decides to seek the help of the rebel group, whose soldiers he and his companions had discovered dead on the Great Plains. Led by Latham, the Doctor learns that Gathwyr has been invaded, and that these “Masters,” have spent the last few years exploring the site of the legendary Eternal City. Intrigued, the Doctor learns that for hundreds of years the legends of Gathwyr tell of a mysterious lost city, the Eternal City, which only appears in the mountains every few years. 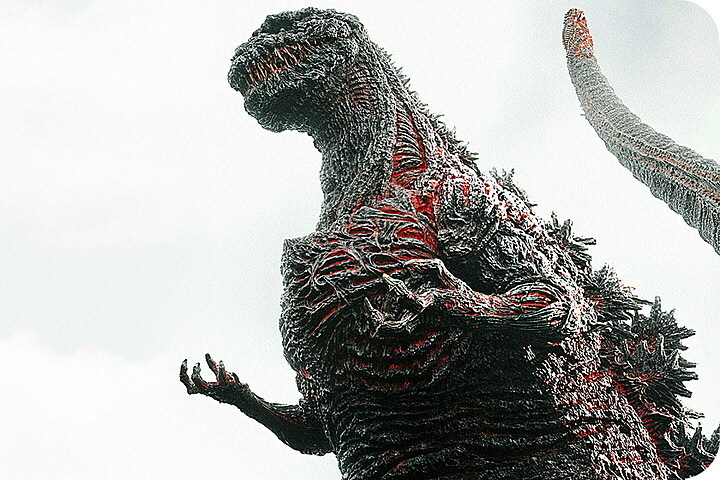 The inhabitants are supposed to have great powers, controlling nature itself. Hoping that either these invaders, or the inhabitants of this Eternal City hold the answer to the time distortions (and wanting to find Harry and Sarah), the Doctor convinces the rebels to help him sneak into Tharesti. Lead through a cave system that connects to the back of the city by a young rebel named Elanin, the Doctor is captured (Elanin is working for Kolav, who is holding the boy’s family), and taken to the Tower of the Masters. Locked in a small medieval like cell, the Doctor is about to be interrogated by Kolav and his security men, only to be interrupted by the true face of the invaders of Gathwyr, the Daleks! The Daleks quickly take the Doctor onboard their spaceship, but the do not exterminate him. Instead they offer him a deal. The Daleks too have been led to Gathwyr by the same temporal disturbances, but unable to find the source themselves, the Daleks want the Doctor to help them. If he cooperates, they inform him, he and his companions will be free to leave Gathwyr. Knowing that he cannot trust them, the Doctor makes a break for freedom while still inside the Dalek ship. Exploring the cargo bays he soon discovers several Dalek casings in extreme stages of decay. Exploring further the Doctor locates the engine room, where he manages to sabotage the propulsion unit before he is re-captured. Again however, he is not exterminated, as the Daleks simply repeat their offer. Realizing that whatever is powerful enough to frighten the Daleks into aligning themselves with a TimeLord must be very dangerous, and knowing that his companions are hostages, the Doctor agrees to their plan. Escorted aboard a trans-solar disc, the Doctor and several Daleks head out towards the badlands west of the city of Tharesti. Sitting in the middle of high peaks is a perfectly circular desolate valley, littered with shards of crumbled stone and patches of scrub vegetation. Scattered along the floor of the valley are the remains of a Dalek army, all decaying and worn, several hundreds of years old. The Doctor is amazed to discover that Daleks have been on Gathwyr for hundreds of years, and wonders why Latham failed to mention this fact. The Daleks however, inform him that the patrol is only a few days old. Only then does the Doctor realize the severity of the situation. Something or someone on this planet is able to accelerate time. Knowing that he will find no answers here, the Doctor convinces the Daleks to return him to his TARDIS. With Sarah and Harry as hostages against the Doctor escaping, the Daleks agree. On board the TARDIS, the Doctor materializes back within the valley close to the location of temporal disturbance, where he witnesses a Dalek patrol being withered and aged by a time storm. The strange perfectly circular shape of the valley suggests to the Doctor that this is the location of the Eternal City, but where was it? Realizing that the city itself has been taken out of time, the Doctor reprograms the TARDIS to materialize two seconds ahead of “now’ in the space-time vortex. The TARDIS lands in the center of a gleaming crystal metropolis. Exploring the temple-like building at the center of the city the Doctor is captured by the Servants of the Vortex Crystal and brought before the alter, a two-meter tall column of polished crystal housing a Kronovore, a creature who lives within the vortex itself. The Doctor quickly remembers his encounter with Kronos, a Kronovore used by The Master to destroy Atlantis. Forced to engage in a mental battle of wills, the Doctor learns that this Kronovore, Kali, trapped within the crystal for thousands of years and discovered by the first colonist of the planet, is using the Dalek’s temporal scanning devices as a beachhead to gain its freedom. It is of no concern to Kali if the universe is in danger. Weakened by Kali’s attacks, the Doctor gathers the last of his strength, and makes one final mental attack. This stuns Kali, who is unprepared for the TimeLord’s mental powers, giving the Doctor enough time to escape to the TARDIS. Regaining its wits, Kali begins to gather temporal forces to attack the TARDIS, but once inside, the Doctor creates a time loop around the temple, trapping Kali. With Kali’s power broken, the Eternal City returns to the normal universe, but it has aged millennia in that return, and has instantly crumbled to dust. With the threat to the universe averted, the Doctor materializes the TARDIS in the center of the rebel camp. There is a rush of activity as the Doctor learns of their intentions to attack the city of Tharesti (it seems a raiding party has returned with a number of bombs). The Doctor informs Latham that an all out attack on Dalek defenses would be suicide, and convinces him and his men to attack the Daleks from within. Taking a small raiding party armed with high explosives into the TARDIS, the Doctor materializes onboard the Dalek spaceship within a few feet of the Dalek Bridge. As the rebels attack, the Doctor frees Sarah and Harry, then aids in the destruction of the power unit controlling the force field around the city. Latham and the rest of his army rust into the city. Learning that most of the Dalek forces have already been destroyed by Kali’s time distortions, the travelers depart, leaving Latham and his men to finish off the few remaining Daleks.